Pocket Money App Back with another loot Offer for its users. 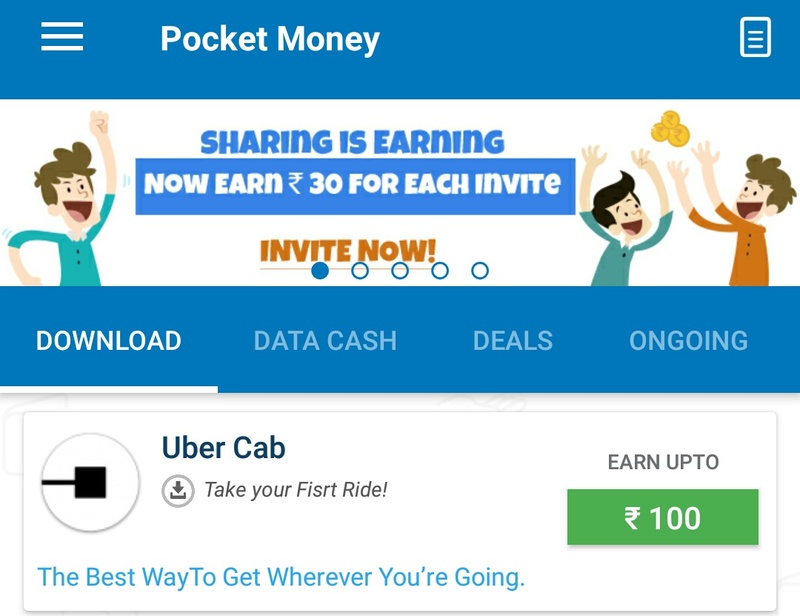 Now Download Uber App from Pokkt App and Take First Ride After to get Rs 70 Paytm cash After Ride & Rs 30 Paytm Cash After 5 Days. • Click on Uber Offer and Install Uber App from Pocket Money App only. • After Installing Uber App and Register for new account in Uber App. 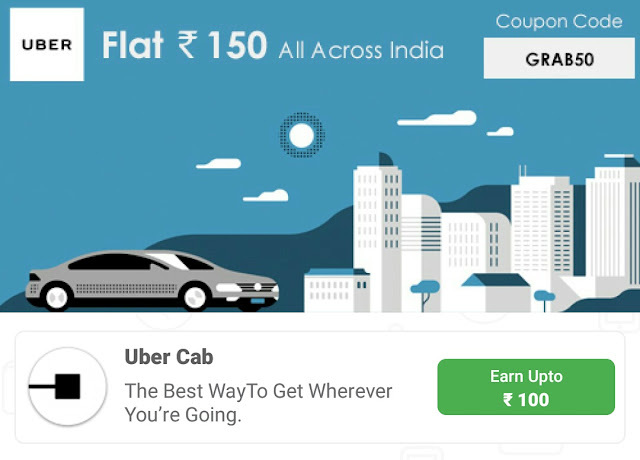 • Now Take a Ride From Uber App and During Ride Apply Promo code GRAB50 to get Rs 50 Off in your First Ride, Else You have to pay Extra Rs to Driver. • Take Ride for 2 Minutes only or you can tell driver to start your Ride for 2 Minutes and Stop it. Just don’t Forget to Apply Code GRAB50 During ride. • After Successful Ride you will Get Rs 70 In Pocket Money App which you can Transfer in paytm App. Another Rs 30 You will get After 5 Days.